Published on May 28, 2018 at 1:38 pm in General Blogs. Professionalism in the work place can be much more than just a point of company pride — it can be the difference between life and death. An out-of-state dermatologist was recently accused of behaving inappropriately in the operating room, causing severe injuries to her patients. She is currently facing at least five medical malpractice lawsuits, which Maryland victims of malpractice may also choose to utilize when seeking justice. Nearly three years ago, a soon-to-be married bride sought help from the self-proclaimed “leading cosmetic surgeon” in the area. Although the bride was only seeking a minor cosmetic correction surgery, the surgeon convinced her to undergo an additional surgery to make her stomach flatter. After eight hours of surgery, the bride stopped breathing. Although the attending staff phoned 911, the damage was already done by the time they arrived, and the bride suffered permanent and irreversible brain damage. The victim is now cared for full-time by her adult son. Unfortunately, this woman’s story does not appear to be unique. Videos of the surgeon singing and dancing while operating on her patients were posted to the surgeon’s YouTube channel, which is public and available for anyone to view. In one video she can be seen dancing while holding surgical tools without any type of gloves or mask. Other videos show nurses acting as backup dancers, while others show patients unconscious and about to undergo surgery. The videos have since been deleted. In addition to behaving dangerously in the operating room, the surgeon is also accused of marketing procedures for which she is not fully qualified to perform. This type of unprofessional and dangerous behavior puts patients at risk for lifelong injuries that impact both their physical and emotional well-being. 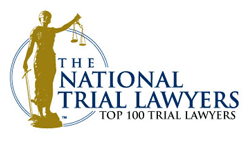 In most cases, Maryland victims and their families can pursue medical malpractice claims against parties deemed responsible that, if successful, can provide financial compensation for ongoing medical bills, trauma and long-term pain and suffering.